We were too disorganized at the end of our time in Cuba to organize a formal group photo. 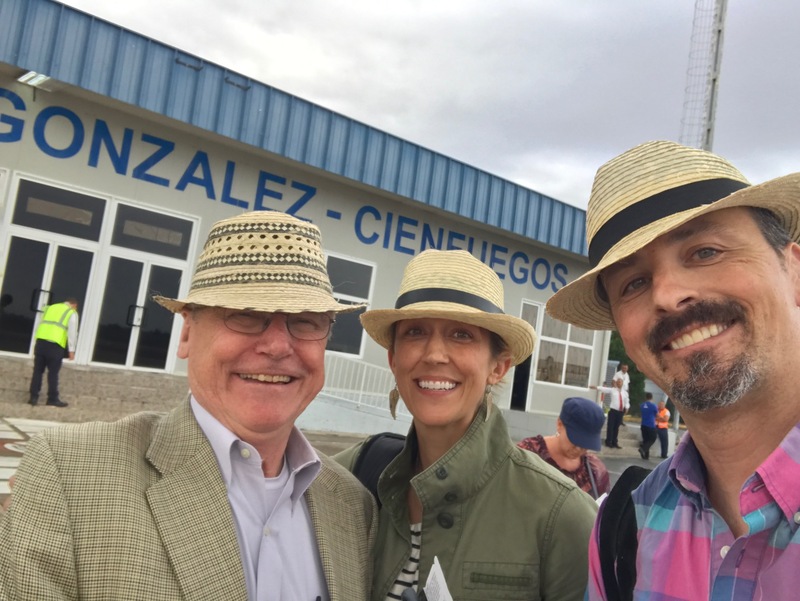 But fortunately Josh Garcia from Tacoma, found the time to take a selfie of himself, his lovely wife Laura, and Jim Harvey before we boarded a plane at Cienfuegos to take us back to Miami. The smiles say it all. We greatly enjoyed the visit to Cuba, the hospitality of the Cuban people, and thought we looked pretty sharp in our Panama hats!